Course Website: Official Website - Visit The Club at Ravenna's official website by clicking on the link provided. 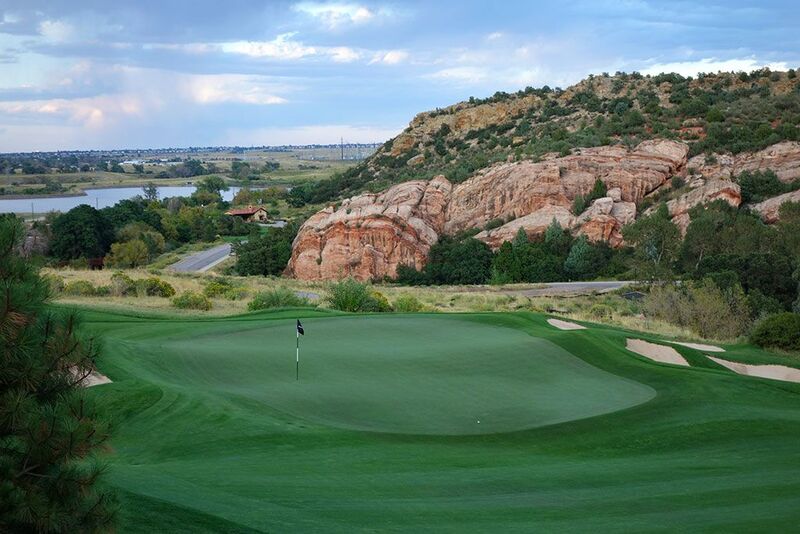 Accolades: Ranked 4th in Colorado on Golf Course Gurus' Best in State list. 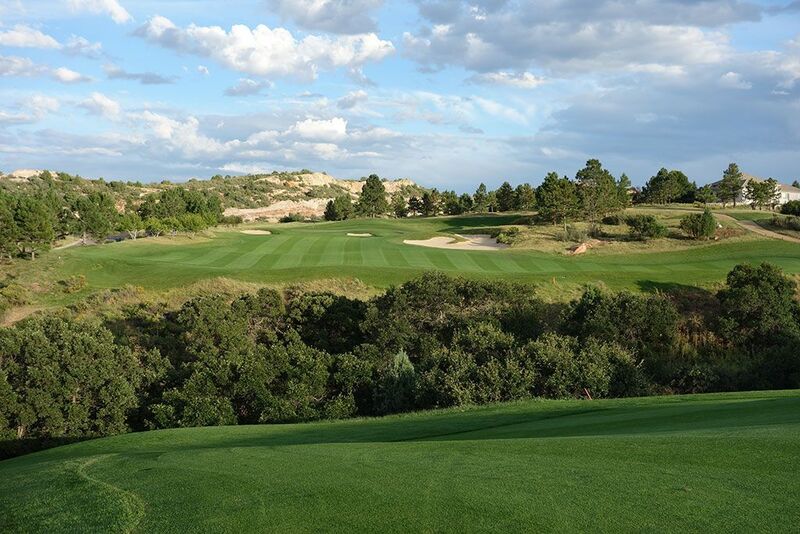 What to Expect: Located southwest of Denver, Ravenna was the last course Jay Morrish designed before riding into the sunset of retirement. 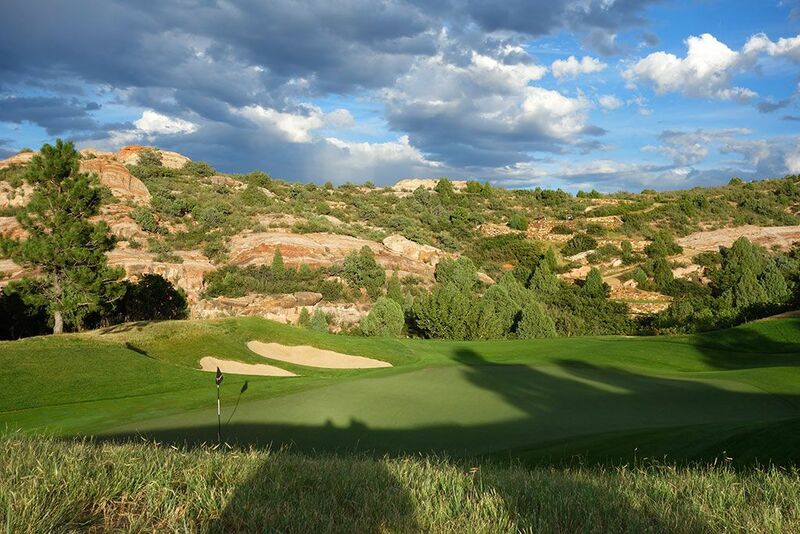 The routing features numerous elevation changes, evergreen trees, and large orange rock formations. 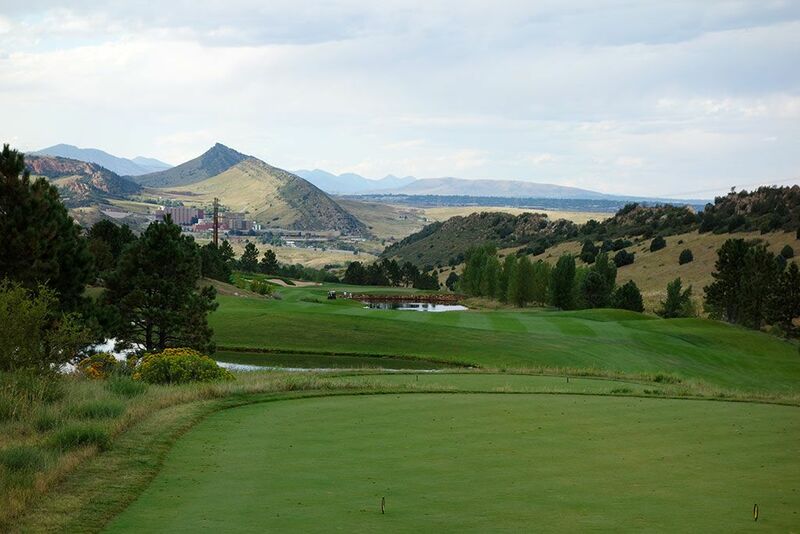 The course captures your attention immediately with a driveable par four on the opening hole and keeps you captivated until your final putt drops on the impressive downhill par five finisher. Conditioning is beautiful throughout the layout with undulated, but pure rolling, greens and lush tee boxes complementing the emerald fairways. The routing isn't meant to be walked with some distances between holes being severe while the elevation changes would challenge even mountain goats to climb. 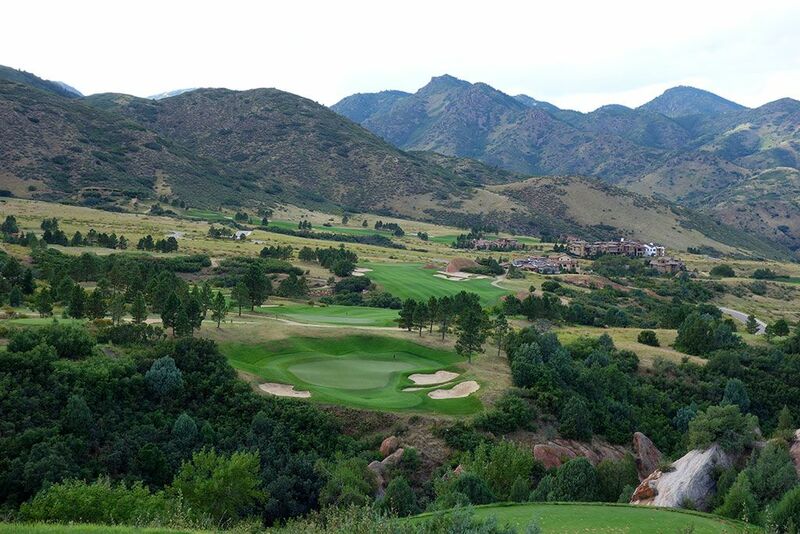 Golf should be fun and Ravenna certainly delivers there with driveable par fours, dramatic elevation changes, and expansive views. The temporary clubhouse is pretty simple on the outside (looked like a domed tent) yet rather impressive on the inside with modern finishes, a spacious dining facility, and a wine collection that matches the theme of the club. The name Ravenna comes from an Italian city and various signs throughout the course give distances to other locations known for wine. 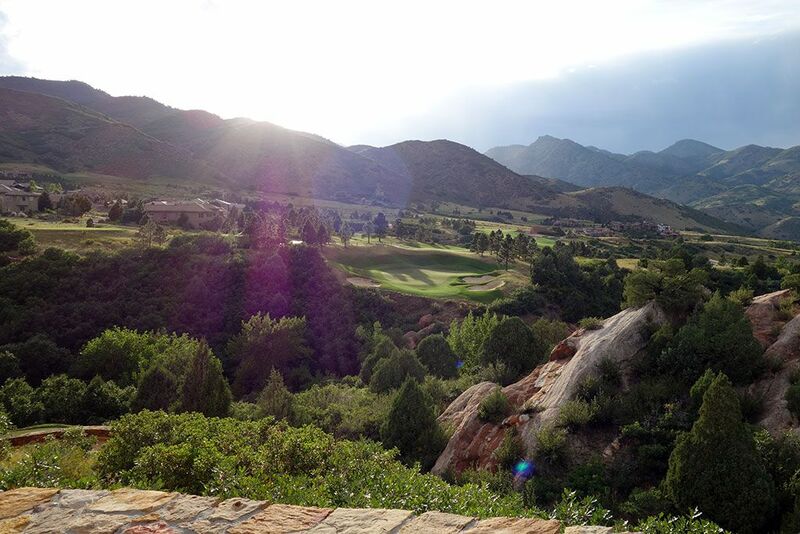 Signature Hole: 16th Hole – 240 Yard Par 3 – Wow! That is all that I can say about the 16th hole at Ravenna . . . well almost. 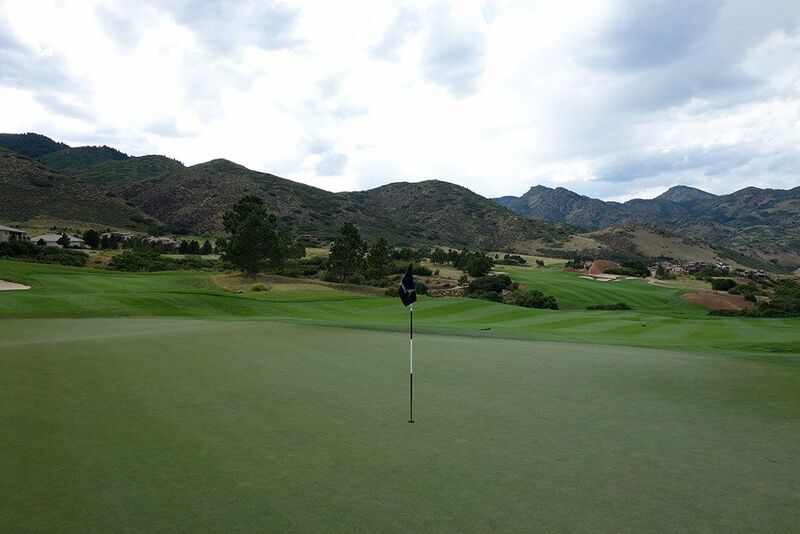 After visiting Ravenna this hole instantly became a must-play for anyone visiting the state of Colorado. This do-or-die one-shotter plays from an elevated tee across a rocky tree covered ravine to a bowled green protected by four bunkers. The back right pin takes some serious stones to attack while the left side offers quite a bit more forgiveness. This hole is awesome and will drop the jaws of the players in your group. Best Par 3: 6th Hole – 225 Yards – A timeless design feature is found on the 6th where players are presented with a par three that plays over a pond. When playing to the right side of the green there is less water to contend with and more putting surface to find. As the green angles back to the left there is more water to carry off the tee, a bunker to contend with, and a green that skinnies up. A pin on the right third of the green is an olive branch offering from the superintendent while the back left pin should only be flirted with by someone who isn't trying to protect a score. 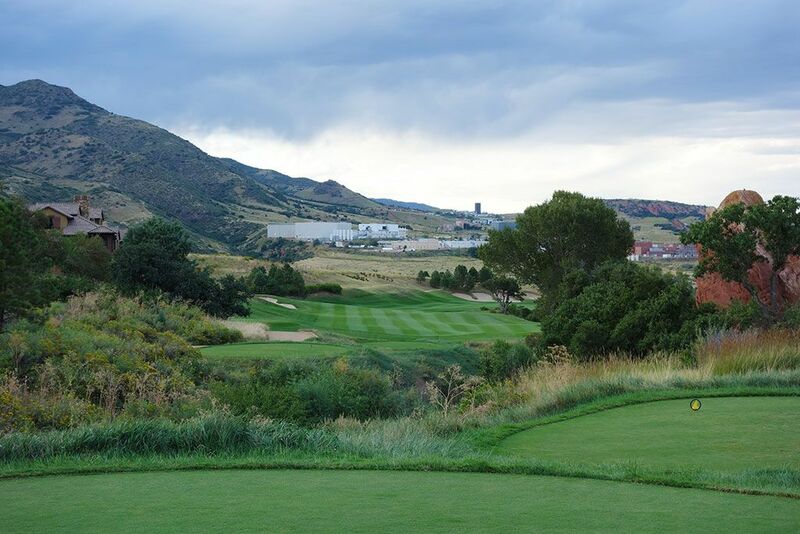 Best Par 4: 1st Hole – 318 Yards – A driveable par four on the opening hole? I love it! Morrish goes way old school here with an element found at National Golf Links of America and several courses on the other side of the pond by installing a reachable par four right off the bat. Out of bounds (driving range) lurks to the right and five bunkers protect the narrow opening to the green with the greatest amount of forgiveness is found about 50 yards short of the putting surface. Players aiming at the right half of the green will have to carry a ravine and some bunkering so if you are hitting driver you better catch all of it. So many opening holes are forgettable in their architecture and concept so this was a welcome concept that was done fantastically. Best Par 5: 18th Hole – 602 Yards – The final hole at Ravenna is a stout par five that wraps to the right around a ravine and boasts ten bunkers to contend with along the way. 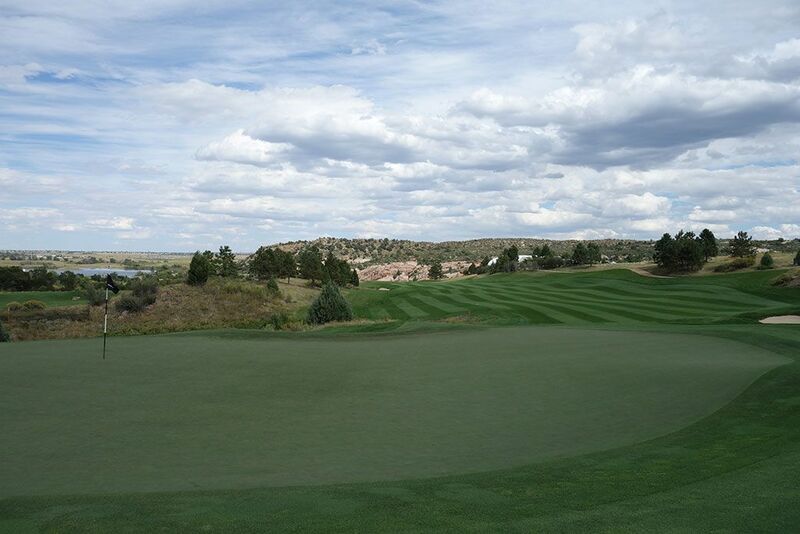 Players needing birdie can take their chances going for the green in two by cutting off the corner of the hole and taking a rip at the green over the ravine. 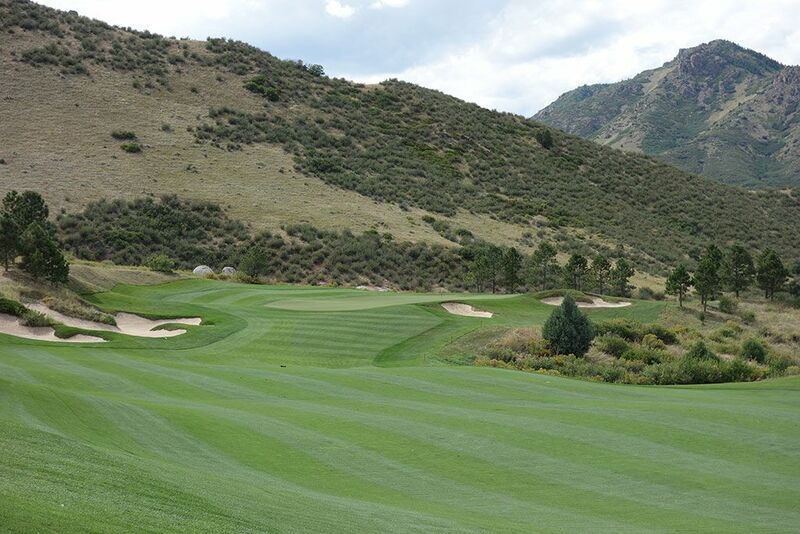 After a good drive, a fairway metal shot of at least 250 yards is required to carry the ravine and bunker with a chance of rolling onto the green. Keep your GPS or rangefinder handy because the exact distance will vary based on how long you carried your tee shot and how near to the right side you are able to place it. 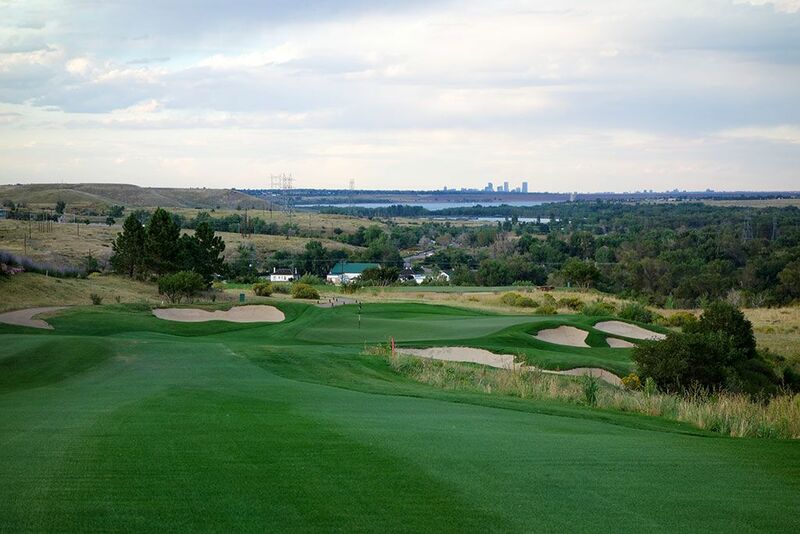 Players laying up are faced with a downhill approach shot to a heavily undulated green and a view of downtown Denver deep into the background. Birdie Time: 7th Hole – 346 Yard Par 4 – One of my favorite holes at Ravenna due to the options and ability to score well. Players wanting a possible eagle putt need to take aim at the right side of the green where a heavily bunkered tight fairway awaits to potentially assist players that can't carry the ball 280 yards directly onto the green. 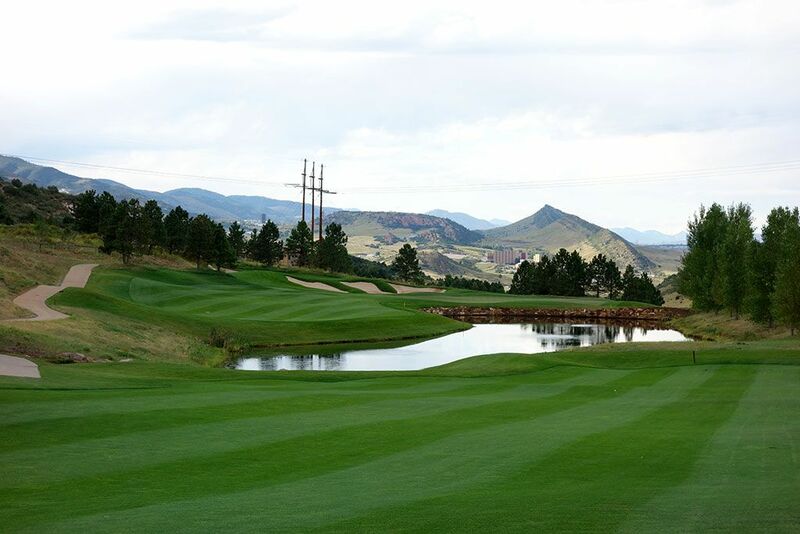 Players looking to play safely can hit towards the left fairway where the widest landing zone is afforded 250 yards away and will leave a 100 yard shot into the middle of the green. Whether you go for the green of lay up, it is a great birdie opportunity. 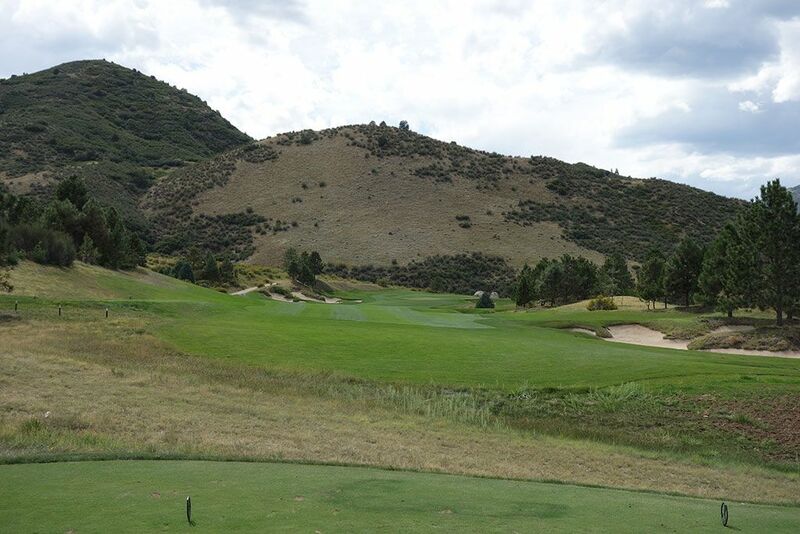 Bogey Beware: 14th Hole – 619 Yard Par 5 – Even though this hole plays downhill, a lot of things can go wrong when traversing over 619 yards of golf hole. 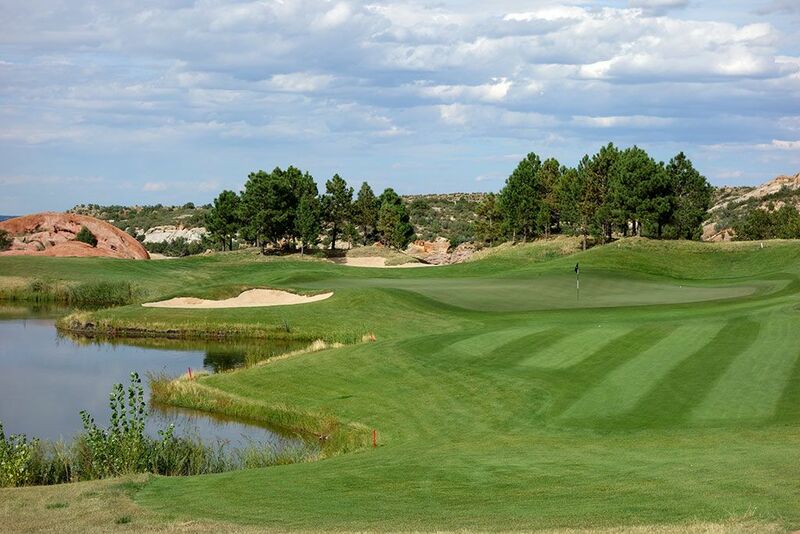 Off the tee players may want to consider hitting less than driver since water meanders down the entire left side of the fairway and a small bunker pinches the right side at 300 yards out. 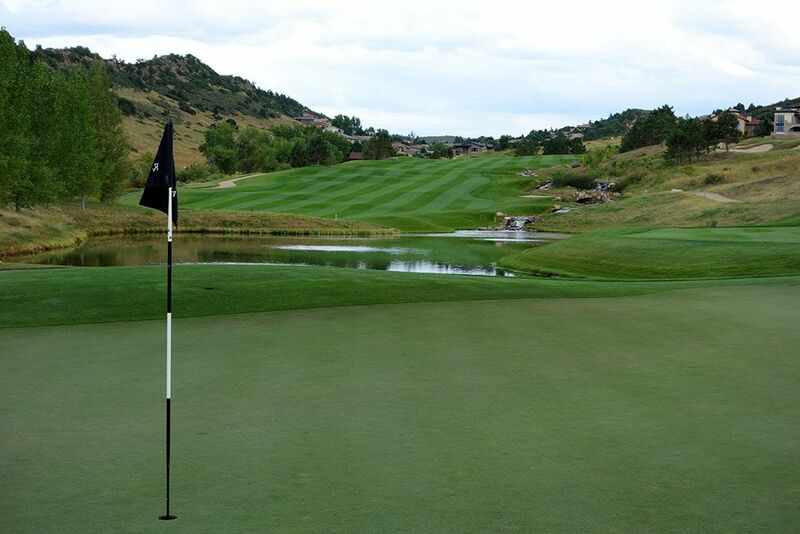 125 yards from the green a pond front the putting surface and forces players to carry the water all the way to the putting surface or to carry just a corner of it and lay up short left of the green. A large bunker protects the left side of the green and sets up a dreaded downhill sand shot back towards the water; a shot that no one wants to face.